Non-renewable resources such as petroleum, uranium, coal, and natural gas provide us with the energy used to power our cars and houses, offices, and factories. Without energy we wouldn’t be able to enjoy the luxuries that we are used to living with in our everyday lives. Our factories would shut down, our cars wouldn’t work, and our houses would remain unlit. The problem with using non-renewable resources is that they can run out, and if they do we will have to find other ways to get power. As of 2010 the world’s coal reserves were estimated to last until May 19, 2140, and petroleum reserves were estimated to hold out until October 22, 2047. While these dates may seem far off, they are coming fast upon us. If the petroleum reserves run out, as predicted, in 34 years, many of us will feel the effects. Not only will we not have gas for cars, trucks, and planes, but commodities such as heating oil, paint, photography film, certain medicines, laundry detergent, and even plastic will cease to exist. While there has been a push to preserve petroleum by converting cars to run on natural gas, this isn’t a perfect solution, as the natural gas reserve is only expected to last until September 12, 2068. Although coal energy will last us a little bit longer, in less than 150 years it is predicted that this resource will run out as well, at which point we will be forced to make a change in our energy use, unless we make that change now. Green power, according to the EPA, is any form of energy obtained from an indefinitely available resource whose generation will have no negative environmental impact. This includes wind power; wave, tidal, and hydropower; biomass power; landfill gas; geothermal power; and solar power. According to Google Green, Google’s goal is to power their company with 100% renewable energy, both for environmental reasons, and for the business opportunity provided in helping accelerate the shift to green power in order to create a better future. One way Google has begun the transition is by piloting new green energy technology on many of its campuses. One of the first pilot programs began in 2007 when they installed the largest corporate solar panel – generating 1.7 MW – at the Mountain View campus in California. Today they have expanded that panel to 1.9 MW and from it are able to generate 30% of the energy needed to power the building the panel was built on. 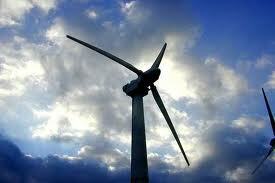 Along with solar power, Google has recently begun using wind power as well. On June 06, 2013 they signed a contract with O2, an energy company and wind farm developer in Sweden, to purchase 100% of the power output from a new wind farm being built in northern Sweden for the next 10 years. The 24 turbine project, which is expected to be fully operational by 2015, will provide 72 MW of power to Google’s Hamina, Finland data center, furthering the companies attempt to use only carbon free, renewable energy sources. Because of Europe’s integrated electricity market and Scandinavia’s shared electricity market, the shift to wind power has been relatively simple. Google has been able to buy 100 % of the wind farm’s electricity output with the guarantee that the energy they purchased will be used to power their data tower alone. The wind farm itself will be powered by Nord Pool, the Leading power market in Europe. Shortly after purchasing the contract with O2, Google made another wind farm investment, this time domestic, in Amarillo, Texas. On September 17, 2013 the company announced its purchase of 240 MW of wind from Happy Hereford wind farm, which will be fully operating by the end of 2014. This is Google’s largest investment to date, and will provide power to the Mayes County grid in Oklahoma, where another of their data towers is located. Unlike their investment in Sweden, Google is unable to send the power directly from the wind farm to their tower because of local energy regulations, so they are taking a different course of action. By selling their purchased energy into the wholesale energy market they are able to utilize it along with the surrounding area, thus decreasing their carbon footprint. Google has taken this rout before due to domestic power regulations, and while their Texas contract is their first wind power purchase in the United States, they have invested equity in many other wind farms throughout the state. One of these is the Spinning Spur Wind Project, a 161 MW wind farm consisting of 70 2.3 MW wind turbines. The farm spans 28,426 acres and is located about 30 miles west of the Happy Hereford project. When the project is finished it will provide power for around 60,000 homes in the Oldham County area. Over all Google has invested over $1 billion into 2GW of carbon free, clean power projects and pilot programs. Some of their other investments include a solar power project in South Africa; photovoltaic projects in both California and Germany; and Solar City, a project providing solar panels for thousands of home rooftops. By investing in these projects and purchasing power both directly and indirectly they are able further their goal of becoming 100% reliable on renewable carbon free resources for energy as well as help others do the same, thus aiding in lessening the carbon footprint left by everyone. This entry was posted in Technology Industry and tagged google, green energy, solar energy, wind energy. Bookmark the permalink.